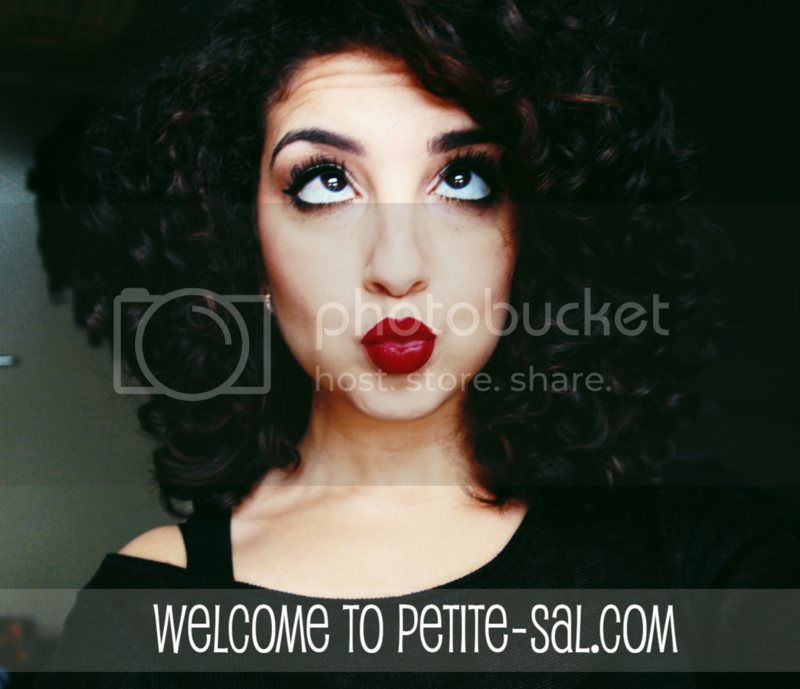 PETITE-SAL: Tutorial: 10 steps for the perfect eyebrows! 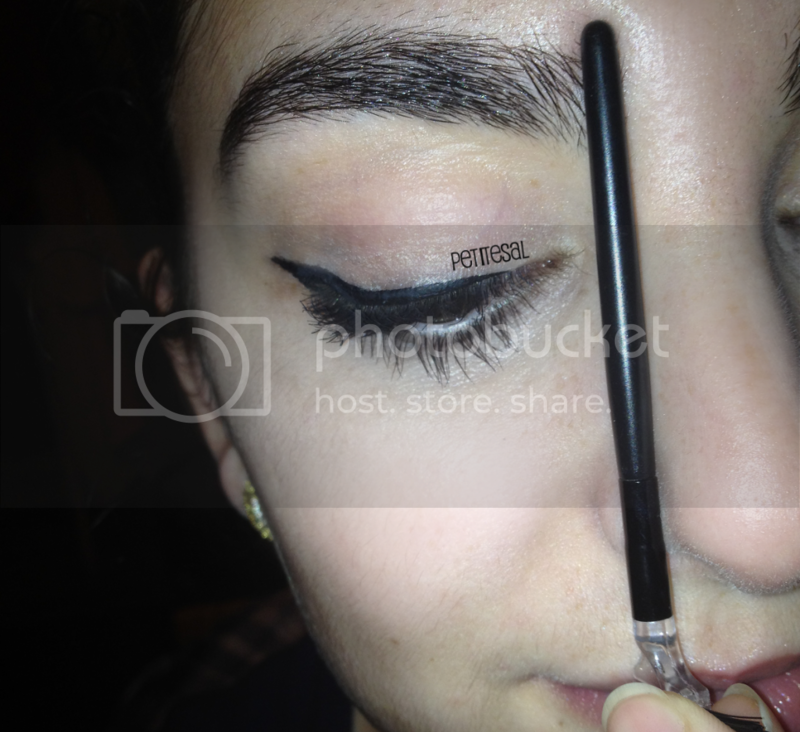 Tutorial: 10 steps for the perfect eyebrows! 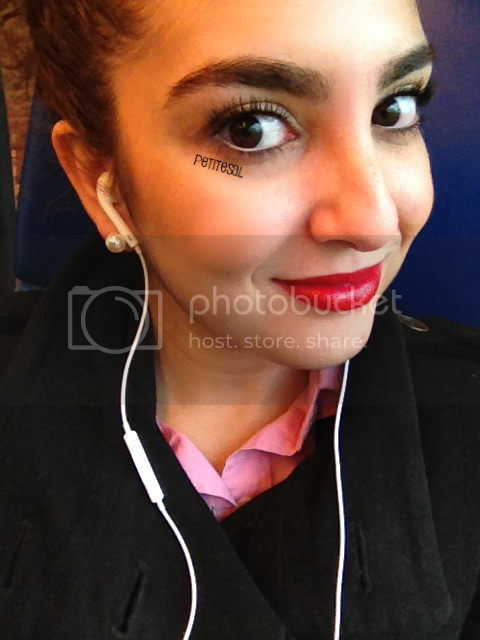 Perfect and neat brows: sometimes it seems like mission impossible! With a few tricks under her sleeve, a woman can achieve more than she knows. Here are 10 steps to get to those perfect brows! 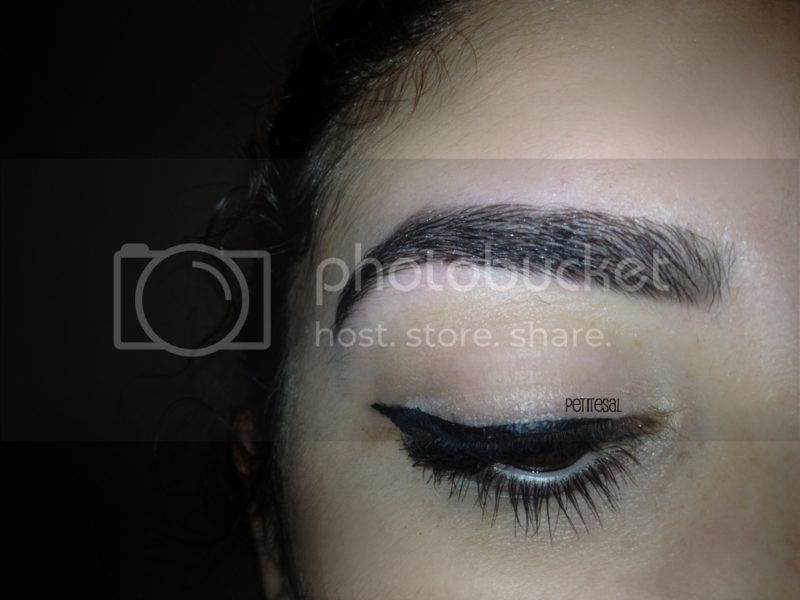 I get a lot of compliments and questions about my eyebrows, so I decided to do (another) tutorial. A while ago I already did an eyebrow tutorial, but this tutorial has more steps and makes it more clear how I do my eyebrows. 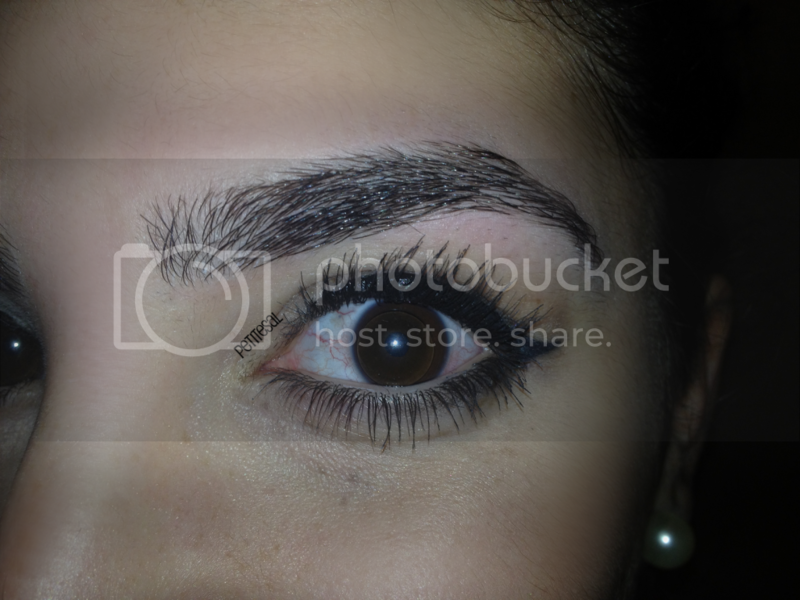 I have to say by forehand: I have extremely thick eyebrows. 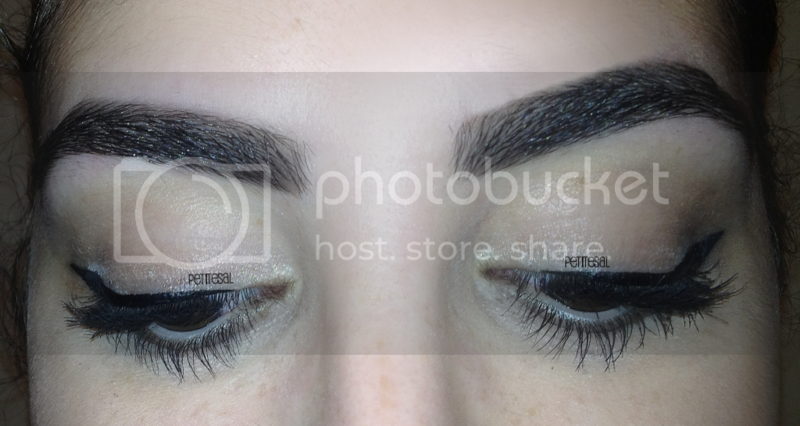 Before this tutorial I let them grow out for 1,5 month, but only the upper side, so they still look kind of neat. Also, they're not similar. One eyebrow is round, while the other is more square. It's important to set for yourself what kind of shape you want. Anyway, these basic steps will work on everyone! A big tip before we actually start: when you’re doing your eyebrows, do them both at the same time! By doing them both at the same time, you’ll prevent the disappointment of one eyebrow being perfect and the other one not. Also, the chance that they’re similar is bigger. Let your eyebrows grow until they’re thick enough to work with. Make sure your face is clean. Did you know plucking eyebrows hurts less right after you showered? Find a place with good lightning, preferably daylight, and comb them before you start. It’s important to know where to start and end your eyebrows! A little guideline is easy to find. 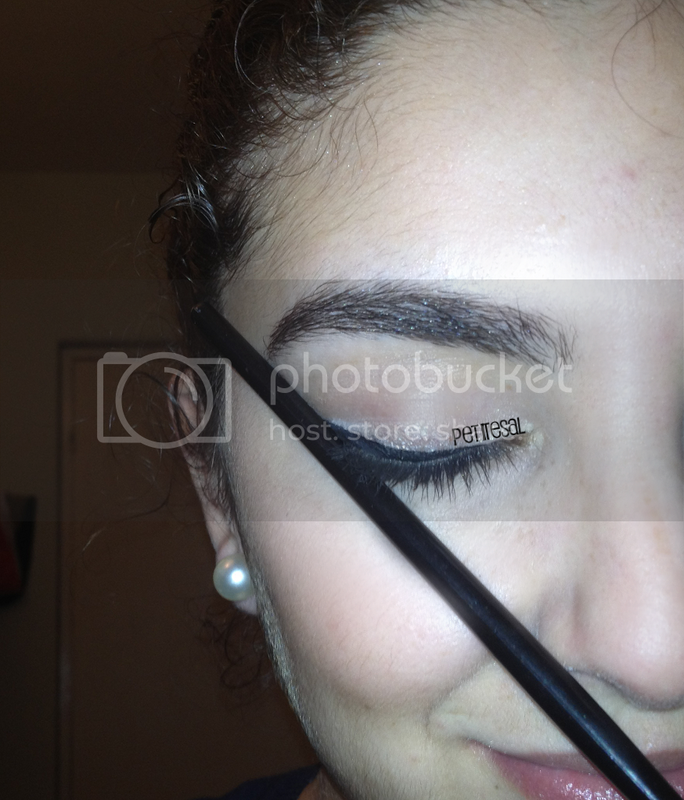 Put a brush or pencil against the beginning of your nostril and the inner corner of your eye. Make sure you make a straight line between them. There you go! You just found the beginning of your eyebrow. Mark this with a white eye pencil. To find the end of your eyebrow, get that same tool you use to find the beginning. Put it against the end of your nostril and the outer corner of your eye. Mark that with a white pencil too. It’s possible that your eyebrow may be a bit short. 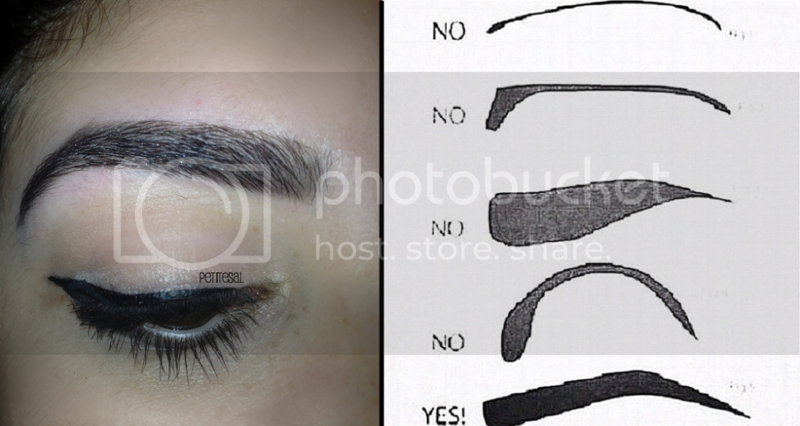 Then you can use this guideline to know up till where you have to draw your eyebrow. This step is one that gets forgotten very often! To know where your arch starts, you look at where your iris stops. 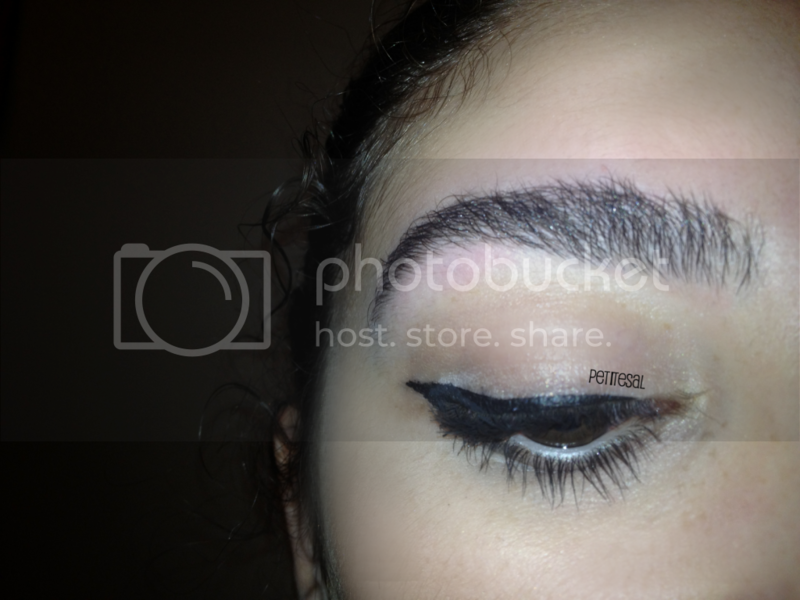 That should be the highest point in your eyebrow. This too should be marked. Now you have marked the three most important points of your eyebrow. 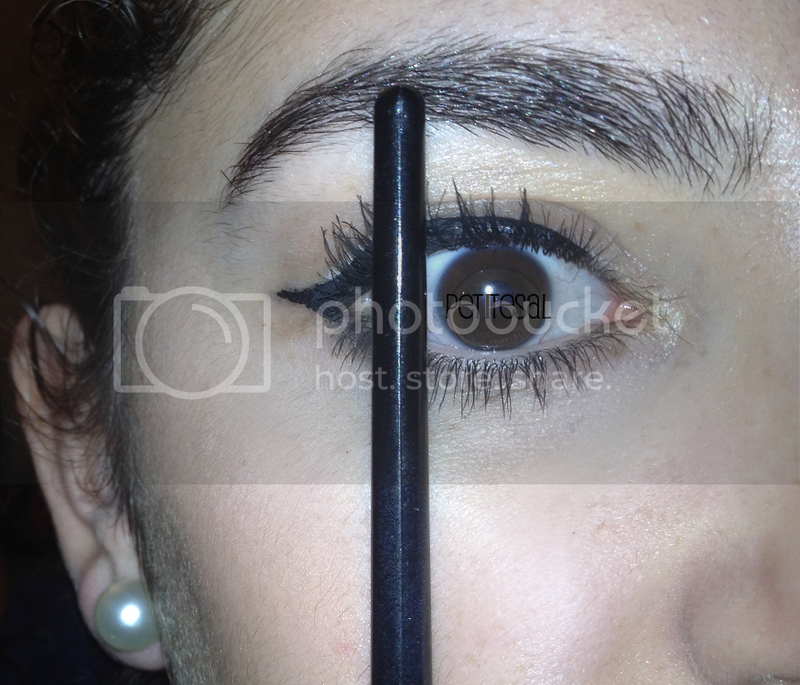 Using a white eye pencil makes it really easy to do your brows! It’s noticeable on the skin and easy to remove when you don’t need the guidelines anymore. Connect the guidelines with the pass you have and draw a line with the white pencil. You’ll get two lines. This creates a new guideline. Everything that is marked white is going to be removed! Do the same thing with the bottom of the eyebrows. 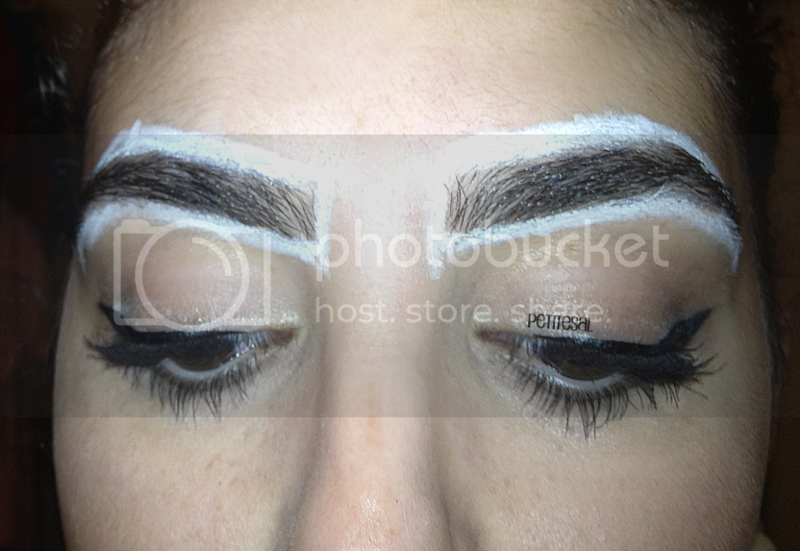 The lines you draw there have to be parallel to the lines you drew at the upper side of the eyebrows. It should look something like this! With the white pencil you can decide if you want to make your brows thinner. Tip: stay as close to your natural shape as possible! It will look more natural and it will suit your face more. The white lines will guide you while plucking. When you’re in doubt whether to remove a hair or not, don’t do it. It’s better to leave an extra hair than over pluck! Well, what are you waiting for? Start plucking! Remove the white lines with a cleansing wipe. Hello, new eyebrow! 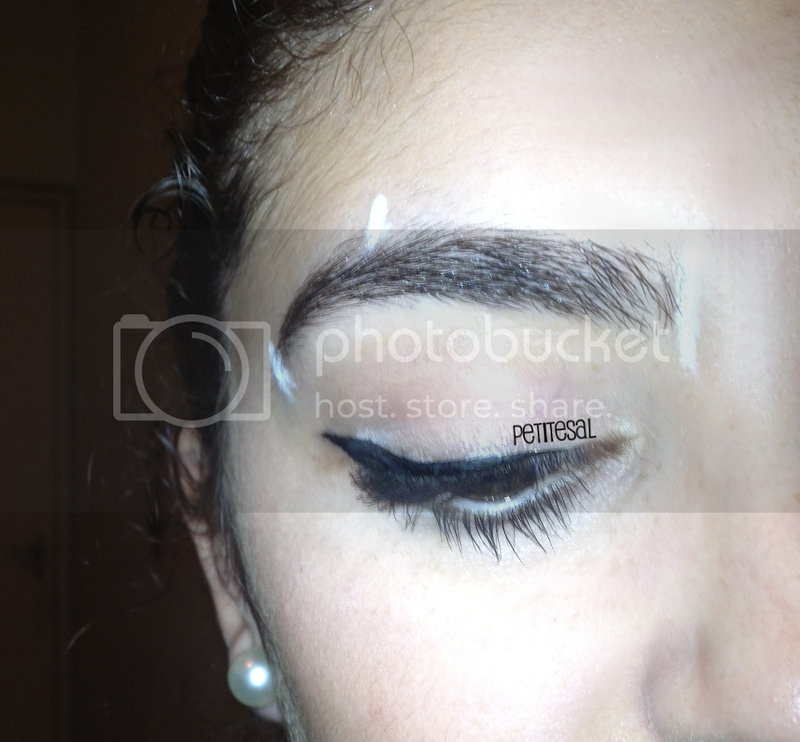 After removing the white liner the shape of the brow is more visible. If you don’t like the result yet, you can pluck a little more. Go stand in front of a big mirror and look carefully. Are your eyebrows similar? They don’t have to be exactly the same. After all, eyebrows are like sisters. They’re not twins! If you’re happy with the result, comb the hairs up and trim them with little scissors. This will make your eyebrows a bit neater. 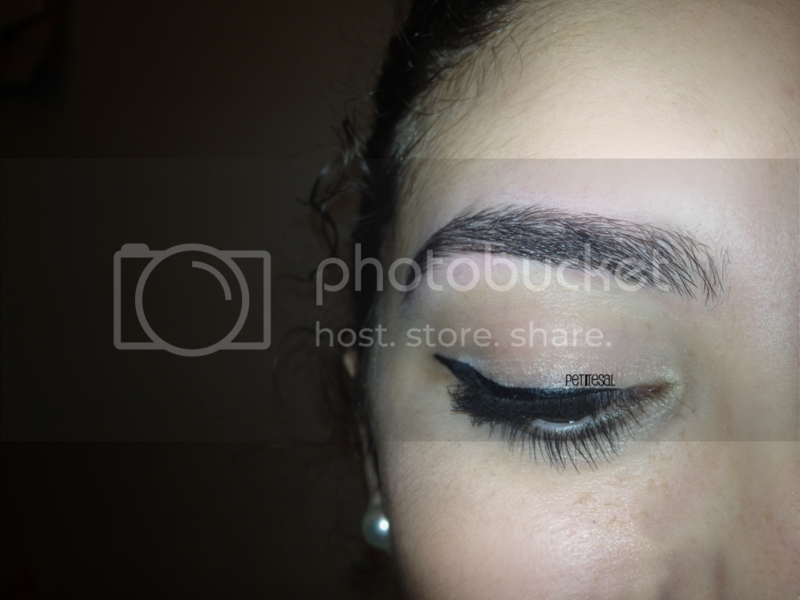 Comb them back and smile, because you’ve successfully accomplished this eyebrow tutorial! See how neat it looks? 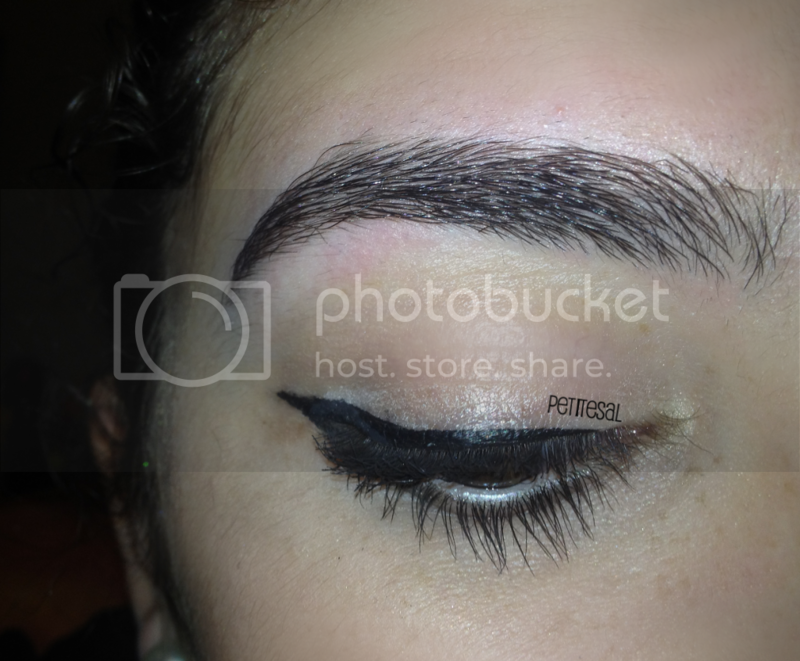 Especially because you also plucked the upper side and because you trimmed your eyebrows a little. 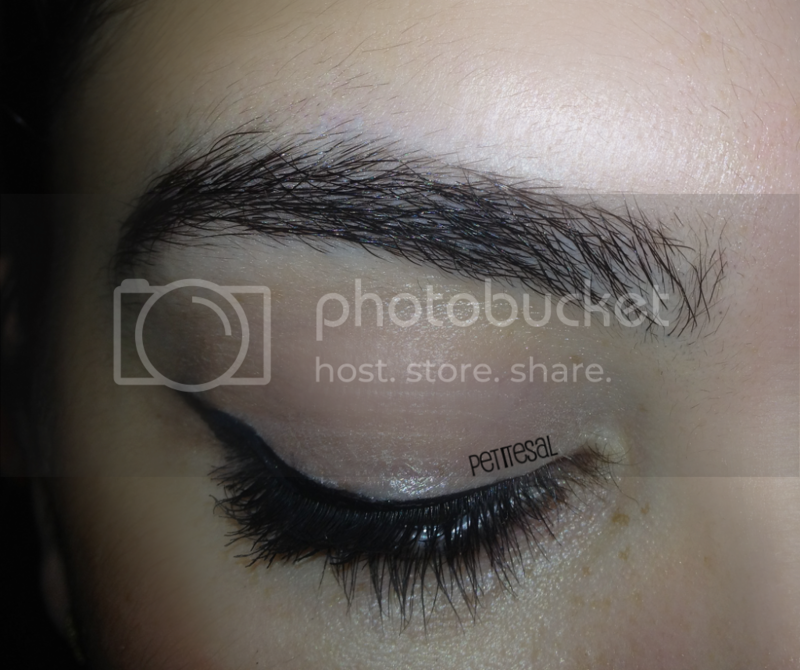 To create that ultimate neat brow, you can fill them in a little with some powder or an eyebrow pencil. Let's have a look at the before and after! Look how young I look with thick, messy brows. And also how messy my face looks. That looks a lot better and a lot neater, doesn't it? They're not entirely similar, but that's okay. My brows are close sisters, not twins. Besides, the difference is not noticeable in real life. I'd rather have them unsimilar than over plucked! Hope you find the tips helpful. 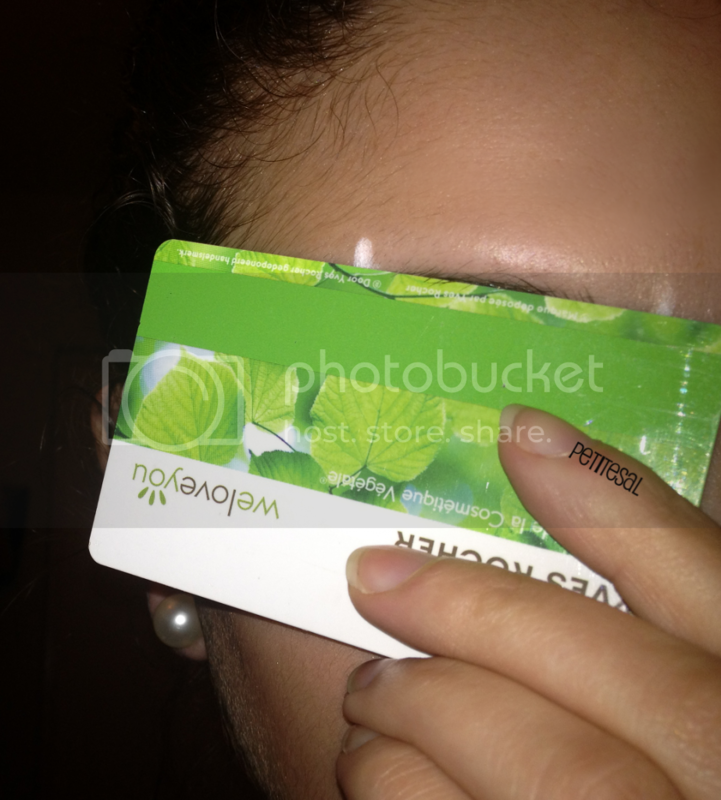 If you use them, I'd love to see the results of your brows, so please share a link with the photo or Tweet/email me one! 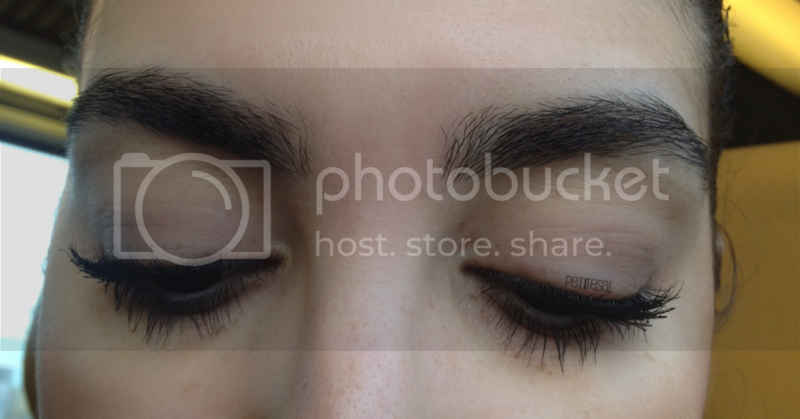 What are your tricks to get that neat eyebrow? Very useful post, I have a problem with keeping mine neat, so I'm gonna use your advice and trim them with scissors, xoxo. Jij hebt wel echt de perfecte wenkbrauwen! haha. Maar super handige post, wie weet kan ik het dan ook ooit zelf. Thank you! Haha it is very important to have eye for detail and much patient when doing your brows. Or you'll risk ruining them! I need to print this and give it to my wax girl, she never seems to understand what I mean!! Awesome post!! Found you through the Beauty Obsessed bloghop!! Happilly following along! I'm hosting a giveaway for the Barielle 5-Pack nail polish collection "Carnival Fiesta", I'd love if you would stop by my blog and say hi! I used to get my eyebrows threaded but I've been growing them out for the past year. I'll be using this tutorial from now on! I was thinking of getting my eyebrows tinted too because they're quite thin and when I fill them with pencil it looks like a 2 year old has coloured in my eyebrows. Do you think that's a good move? Also, I'm insanely jealous of your eyeliner line. I can never get mine as perfect as yours! Glad I could help with this tutorial! It's really easy. You just need to keep your eyes open for details, but you'll learn if you do your eyebrows more often. Hahaha! In that case you should get your eyebrows tinted! I think you can get the supplies at the drugstore or you can let someone do it for you:) Ah thank you! I'll do a tutorial on it, since I get many comments on it! Happy holidays!